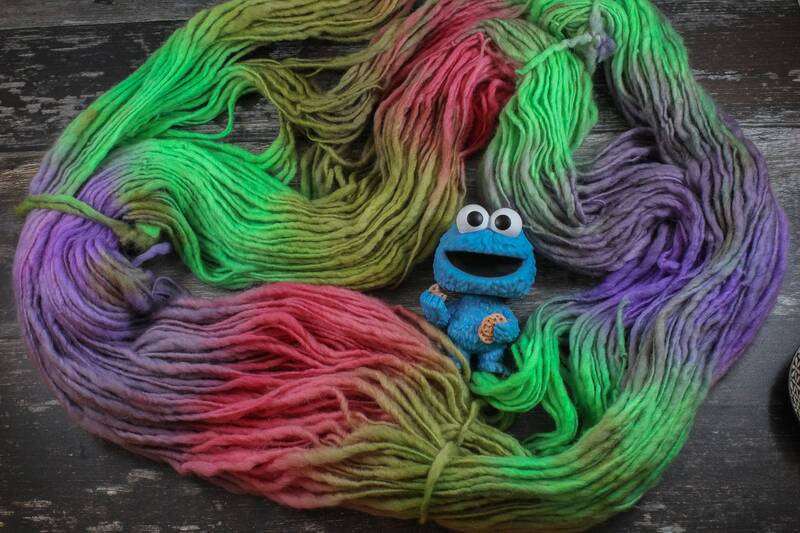 These extra large yarn beasts are perfect for extra cosy and warm knits. They are the perfect size for a snood that you can double over or maybe a hat plus hand warmers. These are 250g skeins made of Corriedale Wool with 250 metres. This yarn has a fantastic hand spun effect that means it has thick and thin parts to it - it will work up for a pattern written for chunky weight yarn. Each colourway has been dyed up in micro batches so what you see in the photo is all I have of the dye lot. If you would like more than one skein for a bigger project, snap them up when you see them as I won't be able to do a decent repeat. That's half the fun of hand dyed yarn anyway, each time they are always different and a little unique, even in the same dye batches. 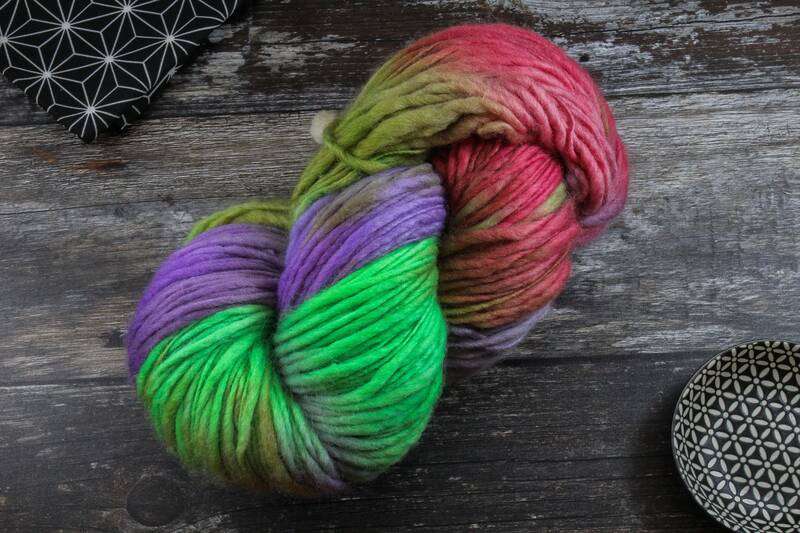 This yarn is NOT superwash so that means treat it like a lady and give it a delicate cool hand wash. Don't be too heavy handed when squeezing water out after a wash either, give it some love.